When it comes to cosmetic dentistry, two of the most common procedures used are dental veneers and dental crowns. However, there remains to be some confusion among patients on when they need to opt for either of the two to enhance their smile. This blog will clear up that confusion and let you know what to opt for, once and for all! In order to apply porcelain veneers, the dentist first needs to slightly remove a layer of enamel from the tooth for the veneer shell to be placed. The amount of enamel removed depends on how much reshaping is required, and this is assessed through an x-ray followed by an impression taken of your teeth. This enables the creation of customized veneer shells that fit in naturally with the patient’s teeth. 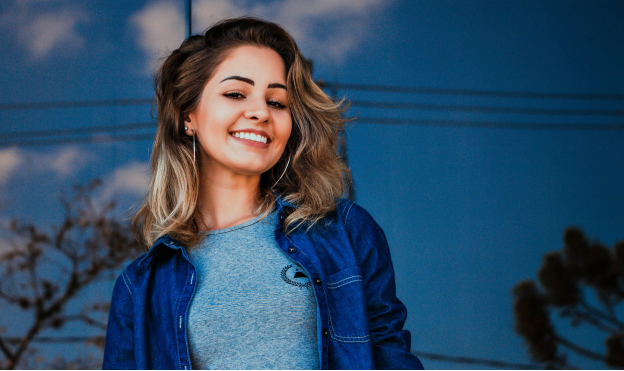 The shape, color, and size of the veneers is compared to the actual teeth to ensure that proper coverage will be provide, and the final appearance will not be mismatched in any way. Once the veneers are in place, the teeth may undergo additional cleaning and polishing for the perfect alignment and appearance. Similar to how it is for veneers, crowns too first require an x-ray to determine whether or not they’re required. Once the need for a dental crown has been confirmed, it’s time to prepare the damaged tooth for the process itself. The decayed or infected part of the tooth needs to be removed before the filling process can take place for the crown to cover. This removal of the decayed part of the tooth may sometimes require a root canal, in which the pulp is removed. Once the damaged area has been disposed, the reshaping process begins. This includes providing a white filling for the interior of the tooth, topped with a ceramic cover, i.e. the dental crown. Dental crowns are customized for each patient in accordance to their individual needs. The personalized structure of the crown ensures that it fits onto the affected tooth perfectly, protecting it from any further damage. Teeth impressions are taken by the dentist so that the shape of the crown is just right, and the patient is provided with a temporary crown for the time being as the labs prepare the final one. Once the final crown is ready, it replaces the temporary crown and protects the tooth permanently by keeping it covered and intact. If your tooth is crooked, broken, or chipped, dental veneers are what you need. Veneers serve an aesthetic purpose and can protect the surface of the tooth by restoring its color and shape. However, since their primary goal is to improve the tooth’s appearance, they aren’t as strong as a dental crown. Crowns, too, add an aesthetic appeal to the tooth, but this isn’t all they do. In addition to improving appearance, they strengthen the tooth by providing a protective covering and holding it together. Moreover, they also enable chewing of food painlessly, restoring the function of the tooth as well as its appearance. For a decayed or damaged tooth, dental crown is the way to go! Looking for an affordable dentistry in New City, New York? Get in touch with New City Family Dental for your restorative and cosmetic dental procedures!